Julia Lee-Thorp is Professor of Archaeological Science and Head of the Stable Light Isotope Laboratory at the University of Oxford. She is an Africanist archaeologist and palaeoanthropologist. Her principal expertise is in stable isotope ecology, especially in the isotopic and chemical composition of fossil biominerals. 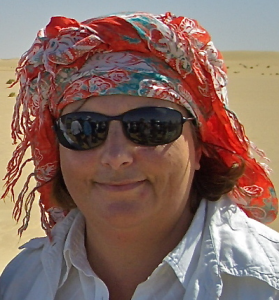 Her main research interests are in the diets of early hominins and later humans, the emergence of modern humans, stable isotope ecology in modern and ancient ecosystems, and the impact of environmental and climate shifts on past human societies. She has done fieldwork and research in South, East and Central Africa, South America, and Europe. She serves on seven editorial boards and recently completed a stint as Associate Editor for the Journal of Human Evolution.